WorldMovieStore - As the character grows into manhood, played by Jason Momoa (Game of Thrones), the cascade of brutality continues: boiling oil, nose trauma, death by metal fingernails--you name it, the movie has it. The "origin story" plot is a workable way into the world of pulp writer Robert E. Howard's hero: Conan seeks vengeance for the death of his father (Ron Perlman) and pursues power-hungry Khalar Zym (Stephen Lang, enjoying the fruits of Avatar), who in turn seeks the final piece of a many-tailed magic mask, which will give him untold power. --Robert Horton. Read More Sinopsis. 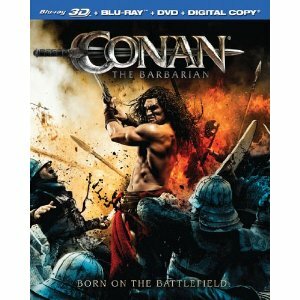 0 Response to "Blu-ray Release Conan the Barbarian"